A Call to Arms —discover the greatness that lies within you! 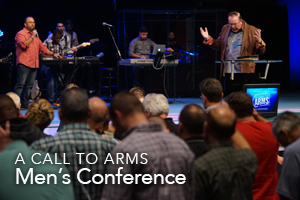 Kenneth W. Hagin's A Call to Arms Men's Conference happens this Thursday—Saturday, November 1—3, on the Rhema USA campus in Broken Arrow, Oklahoma. Register online through Tuesday, October 30th and then starting Thursday, November 1nd at 3:00 PM, men can register at the door! 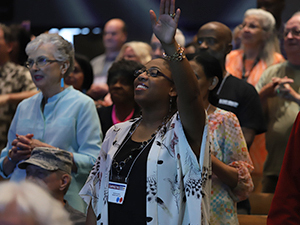 Onsite registration is located in the West Lobby of the Rhema Bible Church Auditorium. Speakers this year include Rev. Hagin and his son, Craig W. Hagin,and special guest speakers Jeff Bardel, Mike Cameneti, Roy Coggeshall, and Earl Glisson. 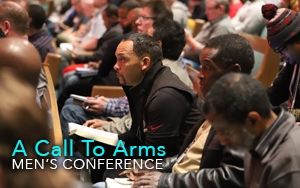 In each session, the speakers will share practical knowledge and godly wisdom on issues that matter to men. There will also be great worship and time to hang out with the guys. The conference is a perfect time to get away, let go of stress, and hear from God. Don't miss it! 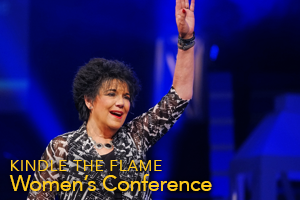 Visit rhema.org/cta for more conference details! 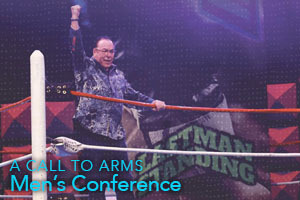 Kenneth W. Hagin opened A Call to Arms Men's Conference with a strong exhortation for men to see themselves as champions. It was a powerful time of bonding, brotherhood, and breakthrough. For three days in November, men listened to messages on their identity in Christ, the power of praise and humility, and enduring to the end. The weak left strong, the sick left healed, and men were transformed from the inside out. They were equipped and empowered to be everything God called them to be in today's world. Mark your calendars for A Call to Arms 2018, November 1–3. The devil tries to challenge us on our identity as men and who we are in Christ. If he is successful in doing this, Satan has inroads into our lives. We must be willing to fight for our identity and for what belongs to us. Ephesians 6:13 (NKJV) says, "Therefore take up the whole armor of God, that you may be able to withstand in the evil day, and having done all, to stand." If we're going to win against the devil, we have to be fighters. Some men may not be a natural fighter. But God will help them. Everybody likes a great victory, but there is never a great victory without a great battle. Jesus faced a tremendous battle when He went to the cross and redeemed mankind from the enemy. He triumphed over all the power of the enemy. Jesus was the last man standing, and His victory is our victory.